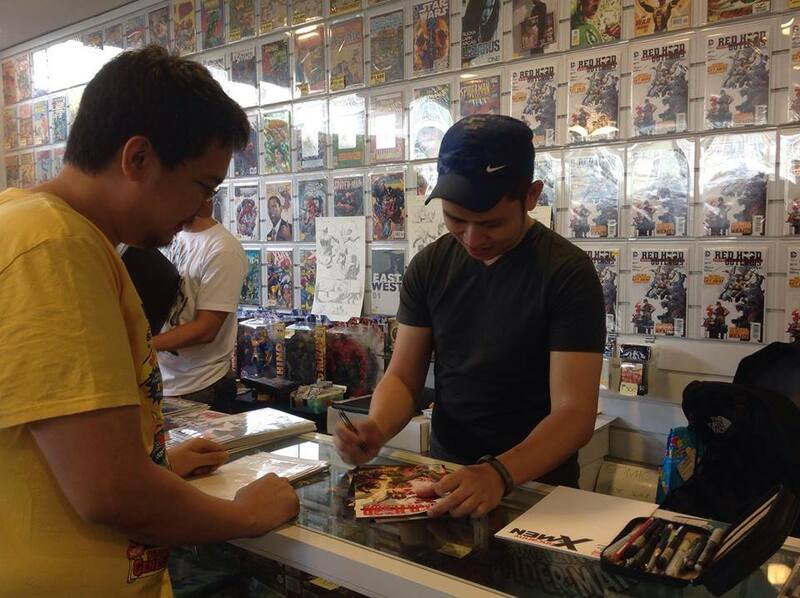 Last January, Filipino-American artist Whilce Portacio (Uncanny X-Men, Stone, Wetworks) did a signing event and a talk. 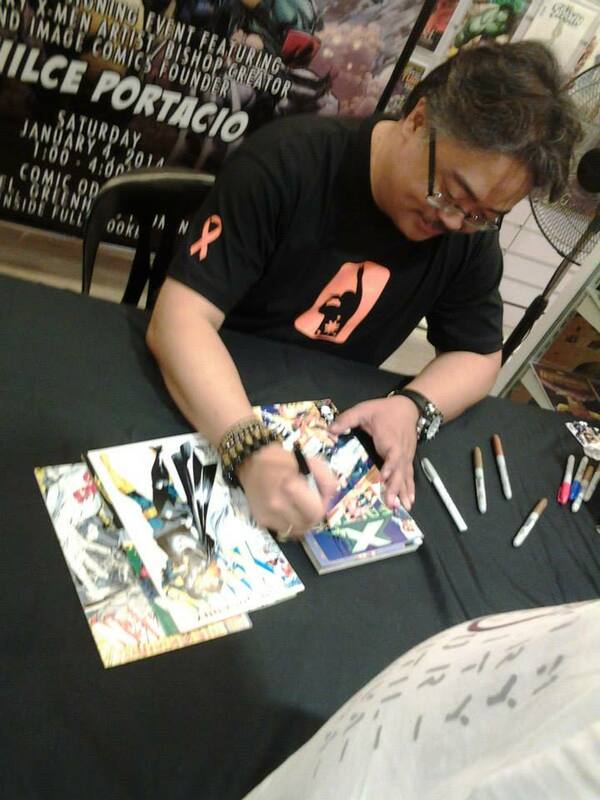 The signing event, held at Comic Odyssey, was jampacked with fans who grew up with his work in the 90’s, and even the younger generation of comic geeks who are aware of his work. Another big event was Free Comic Book Day (FCBD), held on the first Saturday of May. 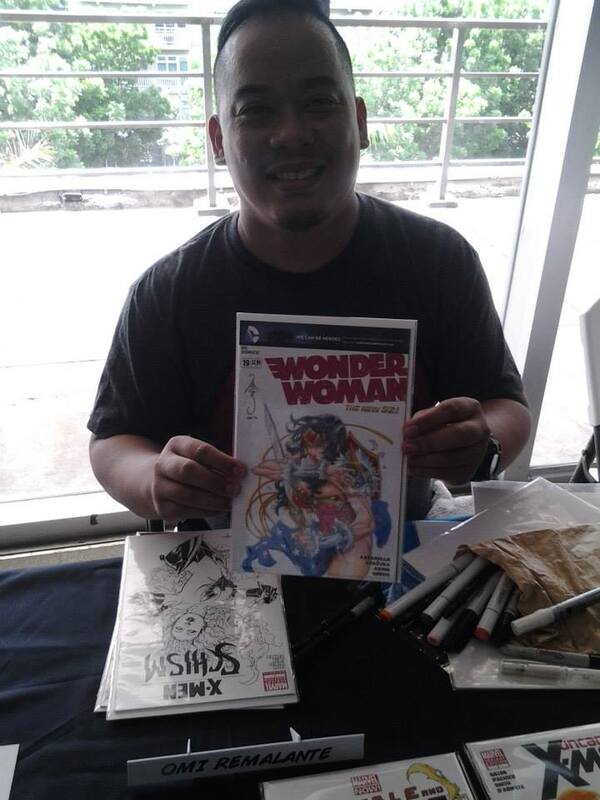 Local comic book stores participated on this event by giving out free comics and inviting many artists to do some sketches and promote the awesome talents we have in the country. Also in May: The Walking Dead artist Charlie Adlard paid a visit. Followers of the popular zombie series lined up and was able to see and hear Adlard talk about his artwork and his contribution to the comics industry. 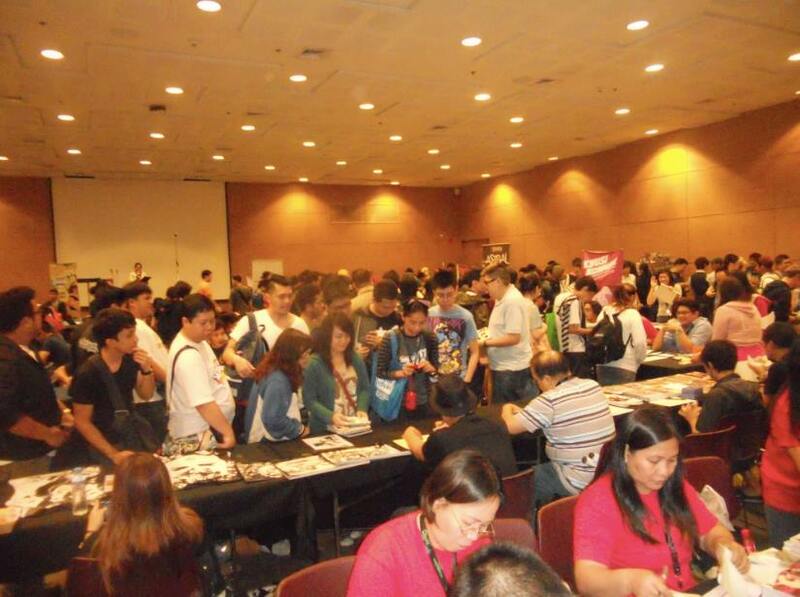 There were also yearly activities that comic geeks attend, such as the Summer Komikon and main Komikon events in April & November, respectively. 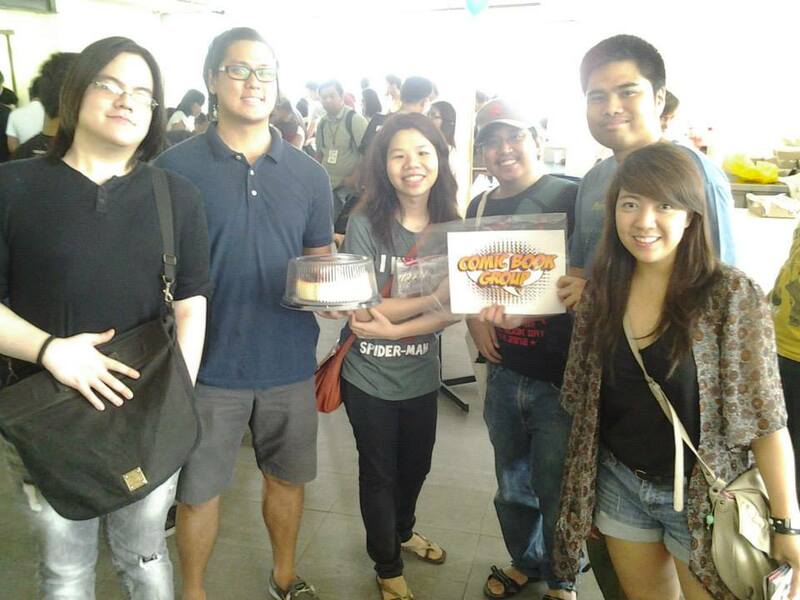 This year, Komikon celebrated its 10th year, it was a noticeable growth from their small beginnings back then. 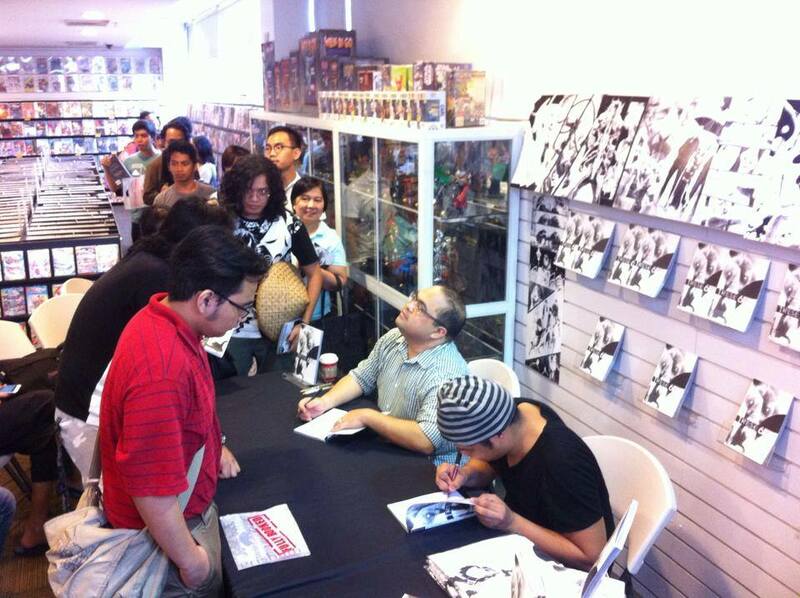 From just having a few tables of indie comic artist & writes back in UP’s Bahay ng Alumni to having a bigger venue now at Bayanihan Center where many Pinoy talents in the comic industry (both local and foreign) are being shown and appreciated. Several activities commemorated icons in the comics industry. July marked the 75th anniversary of Batman. 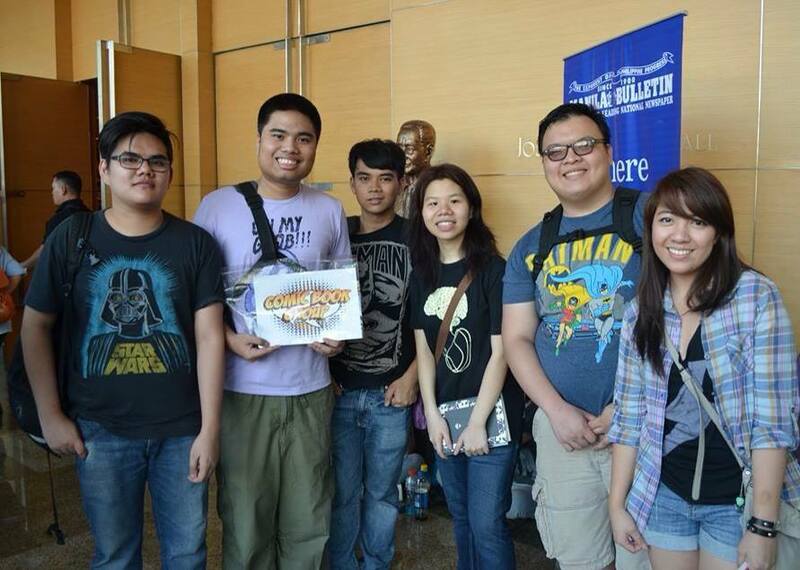 Special comics given out during Batman-themed events, including a reprint of the first appearance of The Dark Knight. There were also some trivia games and an exhibit showing the growth of the character from the printed version to the live action adaptation. In August, Comic Odyssey paid homage to legendary artist Jack Kirby on his 97th Birthday. Notable local artists donated works for the Hero Initiative benefit program, in which their works will be auctioned off on Ebay and the proceeds from the works will benefit the HERO INITIATIVE (a non-profit charitable organization dedicated to helping veteran comic creators in their medical & financial need). Conventions and events weren’t the only things that were the talk of the town in 2014. Singapore-based Stanley Lau, known as Artgerm, made a livestream of a commission artwork of the iconic Pinoy superheroine Darna. 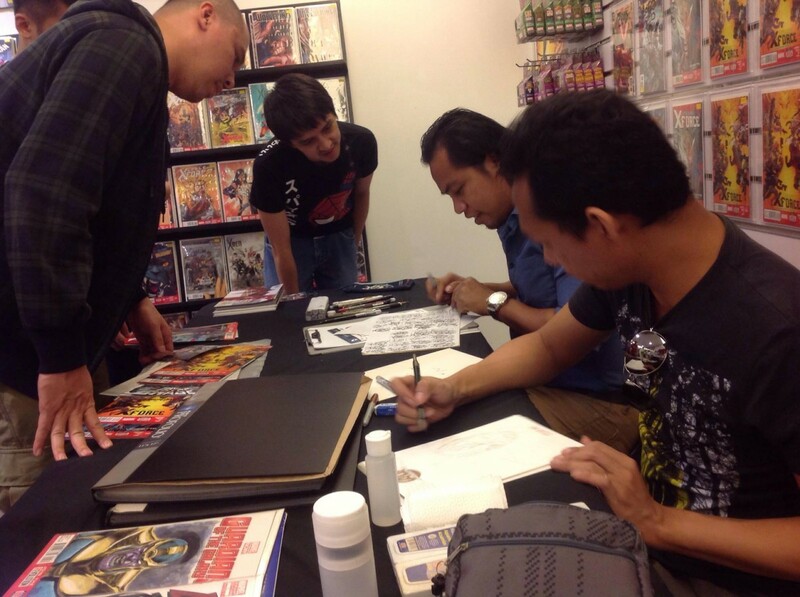 During the livestream, Artgerm also hinted at plans to visit the Philippines in 2015. Rounding out the year was the much-awaited release of Trese: High Tide at Midnight by Budjette Tan and Kajo Baldisimo. 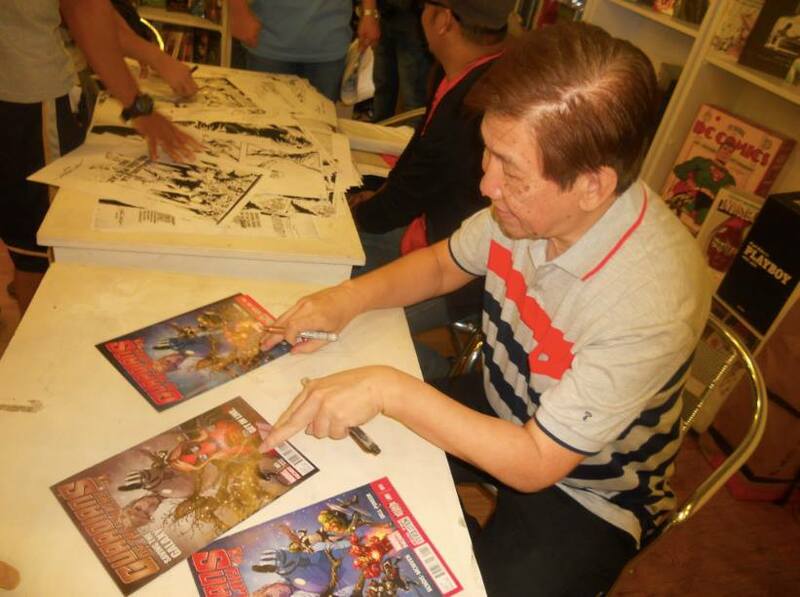 The sixth book in the acclaimed Trese series was due to be released during the November Komikon, but due to printing delays, it hit bookstores during the Christmas season. 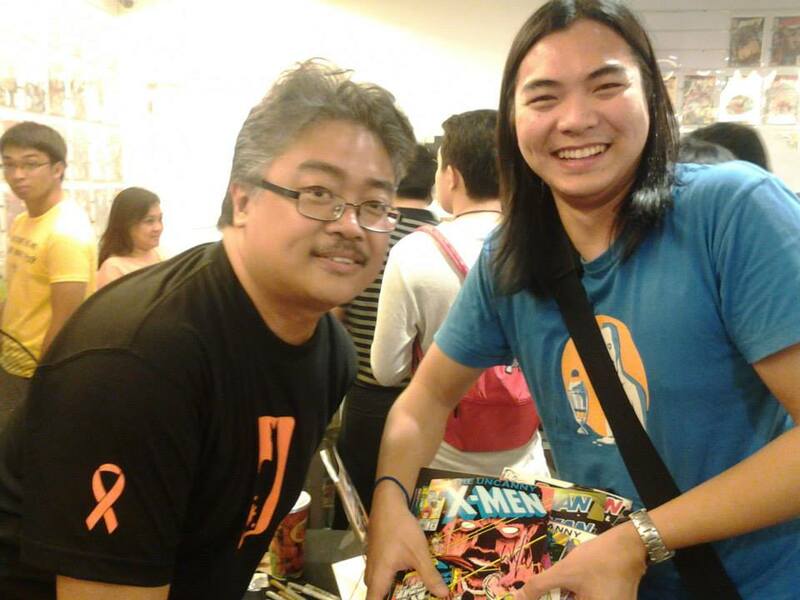 2014 was a big year for the Pinoy comics community. And like another comic book issue, 2015 holds more adventures to look forward to, such as the upcoming Asia Pop Comic Con 2015. With that we can really see a big and steady growth for the community, as well as for Filipino artists and talents. Thanks for allowing us to share them! wow just lately found this article!